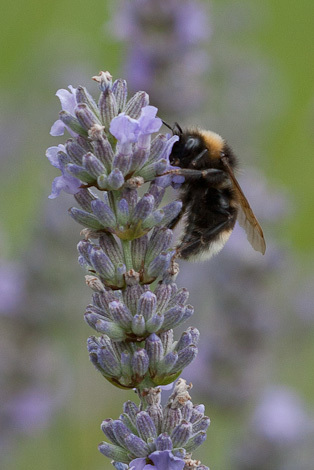 Friends of the Earth are hoping to create a bit of a buzz with their Bee Cause campaign. I attended a launch event in Northampton today – the aims of the campaign are to get those in power – specifically David Cameron, to acknowledge that the government needs to adopt and implement a bee action plan. The launch event included a couple of talks about pollinators and their habitats. Why are bees important? Just to clear up a misconception, it is not just bees that are important it is all of natures pollinators – insects, animals and birds – even some lizards are important pollinators elsewhere in the world. Across the world 87% of the estimated 308,000 plant species are pollinated by insects and other fauna. There has been a lot of coverage about the collapse of honey bee populations across the world and lots of speculation about the reasons. However, this is not a new phenomenon and since the 1800s the UK has lost 23 species of bee and 18 species of butterflies. More recently there has been a 75% decline in moths since the 1970s and a 25% decline in hoverflies since the 1980s. So, it would appear that the recent problems with honey bees are only the latest in a long line of declines. Whilst there are lots of reasons for this, the overriding issue has to be loss of suitable habitat caused by urban expansion and the intensification of agriculture and removal of woodlands and hedgerows. Indeed Northamptonshire holds the dubious distinction of having lost more species of wildflowers than any other county. Not something to be proud of. So, the Bee Cause campaign aims to raise awareness of this problem and get people taking action. I’ll be writing some more posts outlining what you can do to help our pollinators in the coming weeks. In the meantime, if you are interested in getting involved in the campaign there is a lot of information on the FoE website. 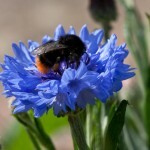 Alternatively, if you are in the Daventry area and would like to help, give me a shout and we can work together to make Daventry a bee-friendly place. I joined the Bumblebee Conservation Trust last year following a Summer trying to photograph them which made me realise how interesting and different they all were. Couple that with all of the coverage regarding the plight of the honeybee which also extends, although for different reasons, to other pollinators, and I decided that it was time I discovered more about the bees in my garden. 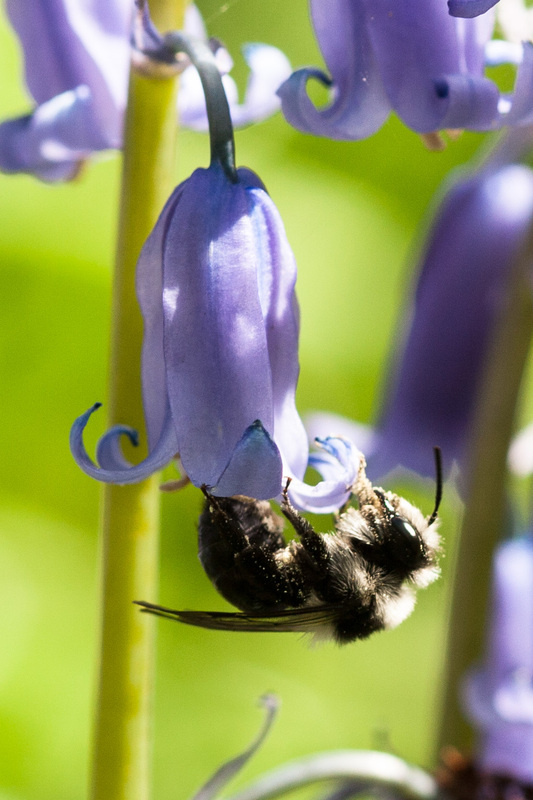 Fast forward a year and with my new found interest in invertebrates I started to discover there were more bees about than I had realised, including my favourite, the red-tailed bumblebee, and others such as the wonderfully named hairy footed flower bee. Despite many attempts and lots of photos, I still felt at a loss when it came to positively identifying them. When I saw an advert for a bumblebee identification session at Leicester University on a Sunday afternoon then I signed up straight away. I arrived early and thought I would go and try and find some bees to photograph – as you would (and, amazingly, got some photos I was really pleased with). They had some lavender beds in their herb garden which we literally buzzing as well as some other plant such as echinops which also seemed pretty popular. Anyway, back to the course. It was run by a lovely lady called Maggie, who is obviously obsessed by bees. 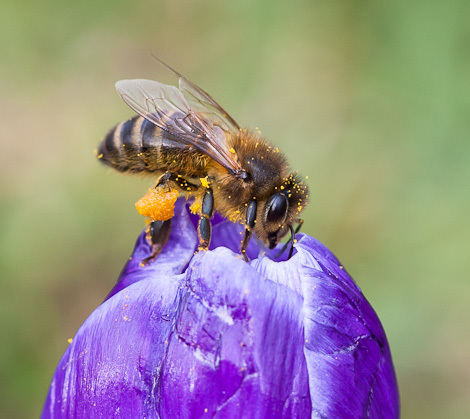 She went through the lifecycle of bees, some of the differences between them and included a list of plants that she had created and which she had subsequently grouped according to how many species of bee visited them. I came away realising that I had to be a little more choosy about the plants that I am putting in the garden and with some ideas for research that I could also undertake. First, however, I need to be able to identify them. I was hoping to come away from a couple of hours amongst the flowers with the ability to recognise the common bumbles, the big six. But, there are queens, workers and males – so the big six became 18, and then there are the cuckoo bumble bees – another 4 types with males and females so we are now at 26! Suddenly it was not as easy as I had hoped. (Cuckoo bumbles don’t need workers as they parasitise the nests of particular bumbles so use their workers to care for their offspring.) Then, as the bees get older, just like us they fade and get greyer, well, paler – so then all the descriptions seem to go out of the window! Did I come away knowing many of the 26? Well, we did find four of the big six – but they are mainly males and workers at this time of year, the queens are in the nests. So, I can recognise a carder bee (a little fluffy, ginger bee), and the red-tailed bumble bee, I will also have a go at the buff and white tailed bees (the male white-tailed bumble bees are particularly lovely – see photo above), but we didn’t see the early or garden bumblebees, so I will carry on looking. However, we did find three or four species of cuckoo bee, which I may have seen before and just not realised what they were (such as the one in the photo on the right)! 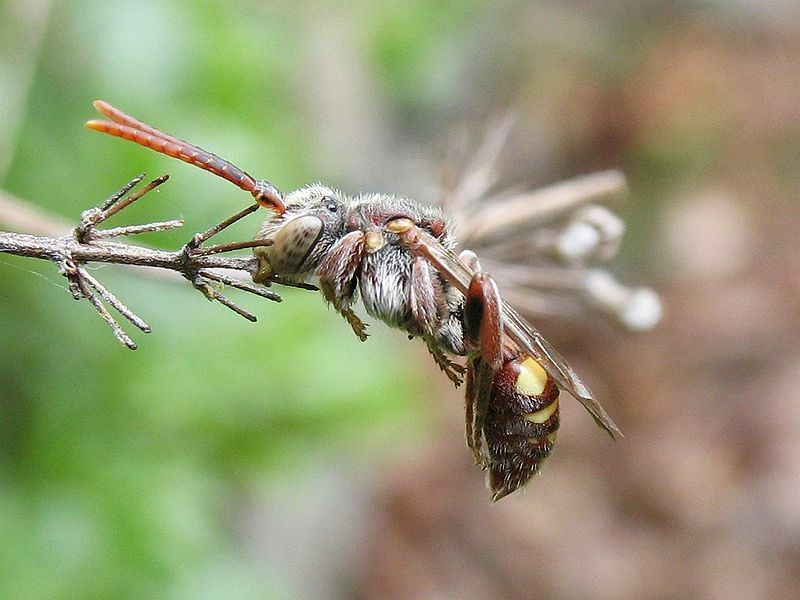 So, although I am not fully convinced that I can get the big six yet, I have now a better idea, and think I can have a go at finding cuckoo bees. I will also be planning some winter research and some more bee-friendly plants for next year. Not all bees are bumblebees. OK, another post about bees, and, it is partly an excuse to put another picture of a bee on my blog, but there is a point I want to make. There has been a lot of concern about honey bees and the sudden collapse of hives (often this concern is motivated by the potential disaster for farmers and lost revenues), there has also been some publicity regarding bumble bees, following this I joined the Bumble Bee Conservation Trust, but what about other bees? 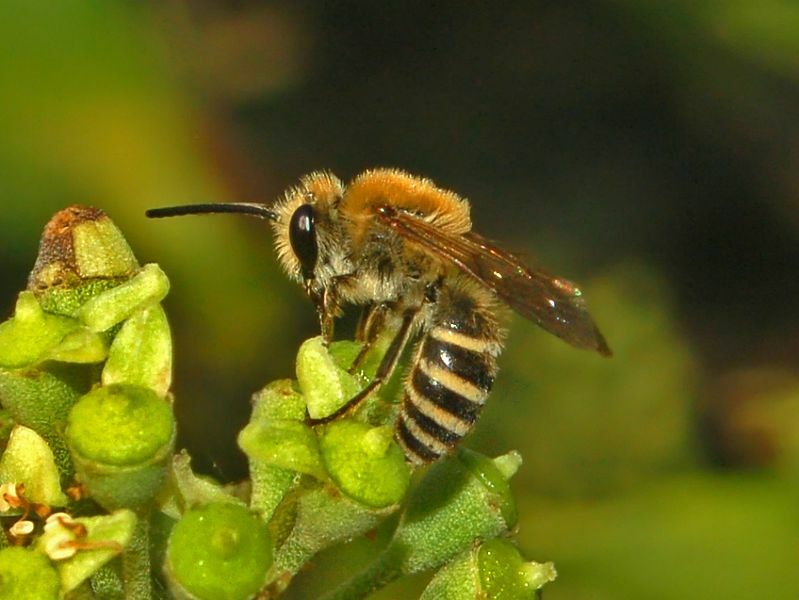 Other bees I hear you say – well, yes, what about solitary bees. Before this Spring I didn’t really think about other types of bee, but once I started looking at them, the diversity amongst this set of insects becomes quite amazing. In addition to the tawny mining bee that I mentioned in an earlier post, I have also come across the little chapess in the photo in my garden. Once again I turned to I Spot as I had no idea what this was. 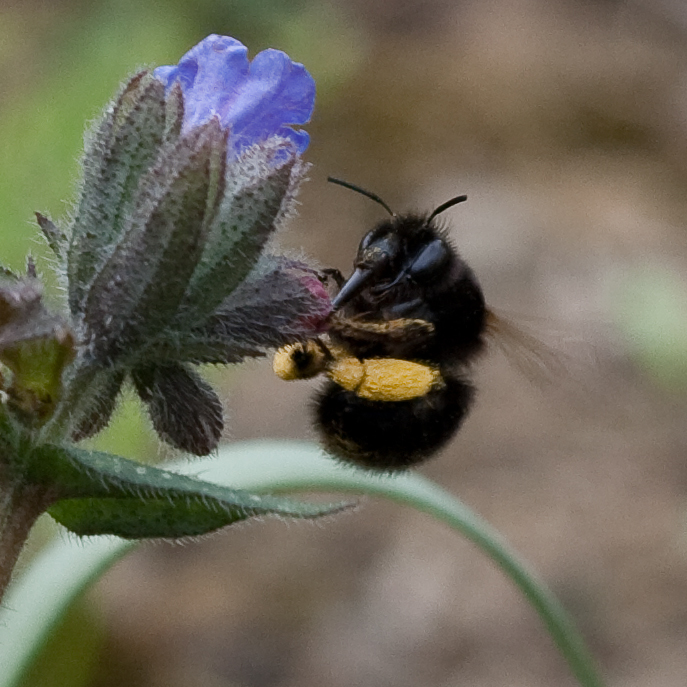 She was almost totally black, with a long proboscis and was totally obsessed with my pulmonaria. She is in fact a hairy footed flower bee – what a fantastic name (anthophora plumipes). 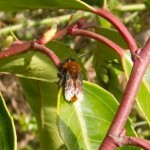 Both this bee and the tawny mining bee are solitary bees. In this species the females are black apart from their pollen baskets whilst the males are more of a gingery colour. They have particularly long tongues which they cannot fully retract, which is quite noticeable as they hover in front of flowers. Although I have never noticed one before they are quite widespread in the South of England and are common visitors to gardens. So, now you know, not all bees are bumble bees or honey bees, not all are stripy and (like the tawny mining bee) not all bees sting. Posted on May 6, 2010 Categories NatureTags bee, hairy footed flower bee, solitary beeLeave a comment on Not all bees are bumblebees. It seems that the warm weather has really started things moving this week. And, the more you look, the more you find. For a starter, many of the trees and plants are bursting into flower. 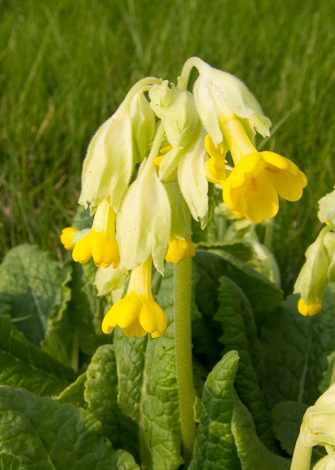 Cowslips (primula veris) are springing up everywhere – the one posing in this picture was taken next to the car park at work. These are fairly common on open ground around the UK and have uses in traditional medicine for the treatment of headaches, although some people are allergic to them. Also noticeable is the preponderance of dandelions decorating roadsides (and dare I say gardens) at the moment, providing a useful nectar source for the increasing number of bees. Speaking of bees, there do seem to be a lot about at the moment. Most noticeable are the massive red-tailed and buff-tailed bumble bee queens flying about, but, if you look closely, you may see other types of bee that you hadn’t noticed before. One of these, again spotted as I was leaving work, was a tawny mining bee (adrena fulva). I don’t remember seeing these before, but they are bright orange and, although fairly small and constantly on the move, they are not easy to miss. 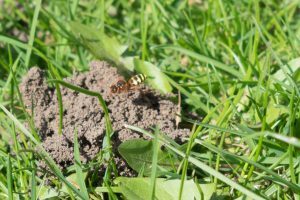 These are solitary bees that often make their home in lawns, digging a hole to lay their eggs in and to provide a safe place for the young bees for which they collect pollen. The picture that I took was the best I could get as they seem quite jumpy and do not settle for long even when sunning themselves. Also of note this week are the increasing number of house martins that can be heard, if not seen, in the skies above Daventry, the first bluebells starting to open and a few more butterflies on the wing. In the garden, the courgette seeds that I planted last weekend are coming up, although my beans, which are outside, whilst presumably enjoying the sunny days are not appreciating the frosty nights and are refusing to put in an appearance. Tulips are in full bloom and the blackcurrant and blackberry are coming back to life. I am also contemplating pulling my first rhubarb of the season. 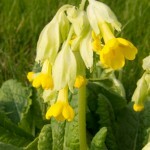 Posted on April 25, 2010 Categories Gardening, NatureTags bee, cowslip, tawny mining beeLeave a comment on This week’s nature roundup. Native Bees to the Rescue? 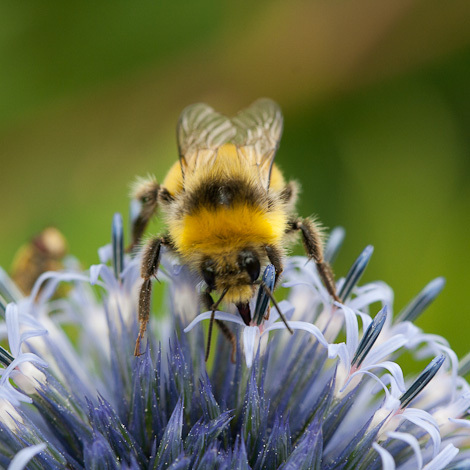 According to some recent reports (the Guardian and Radio 4) a new study is looking at the potential of the native black bee as a solution to the disappearance of about 30% of the UK’s honeybees. 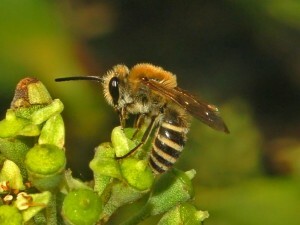 The current bee population is based on an Italian bee which is relatively docile and very prolific as a honey producer. 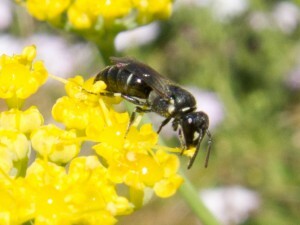 The theory being tested is that the cold wet summers have left the Mediterranean bee less well equipped to deal with the Winter, whereas the native black bee is more used to the typically damp British weather and is therefore better equipped to last through the Winter on depleted food supplies. 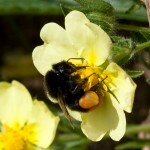 I had heard about the black bee, but did not realise there are several colonies in the UK. 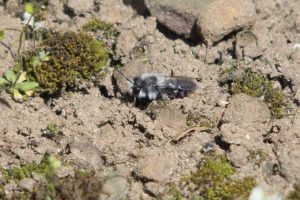 The first step is being helped by the Co-Op which has launched a fund to help map where existing populations exist so they can be used to increase the numbers of native black bees. For more background on the current problems in the bee population (although it is admittedly slightly USA – centric despite being written by a British couple) a good place to start is the book ‘A World Without Bees‘ or read the story as published in the Guardian this week. Posted on May 20, 2009 Categories Environmental Issues, NatureTags bee, black bee, native speciesLeave a comment on Native Bees to the Rescue?